It all began over 11 years ago when Joanne de la Rionda gave her husband, Randall York, a beehive for Christmas. “She’s really good about getting people unique things and I’ve always been nerdy and enjoy keeping things alive,” explains Randall. He quickly signed up for a three-month long beekeeping class through the Mecklenburg County Beekeepers’ Association. 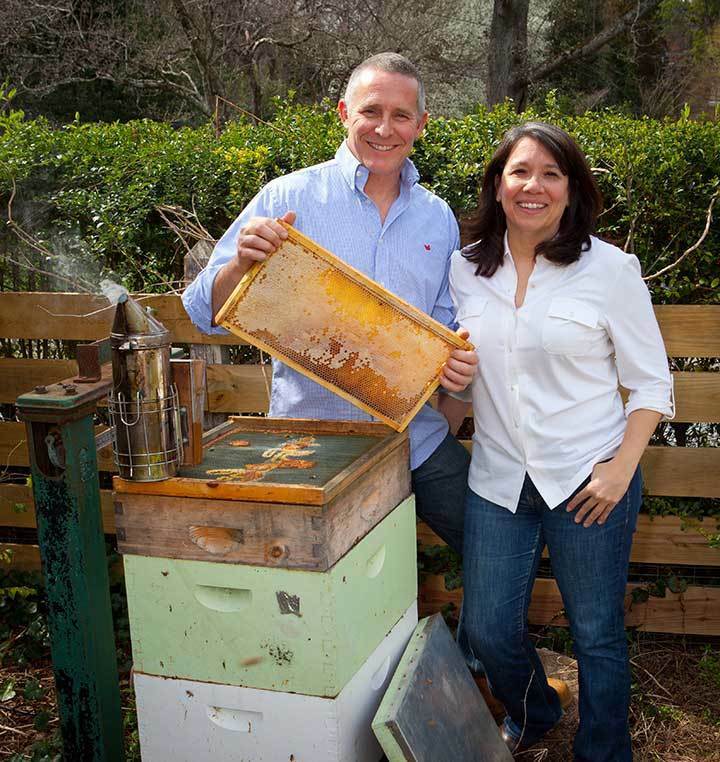 That two-hive hobby in the backyard of their South Park home soon became Cloister Honey, a popular artisanal honey company with around 50 hives — including two on the roof of the AAA Five Diamond Ritz-Carlton Hotel in Uptown Charlotte. At the end of the second year, they had about a dozen hives. Before long, they were producing hundreds of pounds of honey and decided to sell it at area farmers’ markets and festivals. Popularity continued to grow as area shops like Whole Foods asked that they provide honey for sale in their locations. Their product line includes varieties of whipped honey flavored with cinnamon, pumpkin spice, lavender or even ghost pepper (which earned the 2015 Southern Living Food Award). Chipotle pepper or bourbon infused honeys and traditional favorites like orange blossom, Tupelo or wildflower are other sweet options. You can find Cloister Honey in hundreds of shops and markets in the Carolinas, and several area restaurants incorporate it into some of their dishes. The Ritz-Carlton uses Cloister Honey to create some of their desserts and flavor craft cocktails they serve in The Punch Room. York and de la Rionda have been AAA Carolinas Members since 1993. 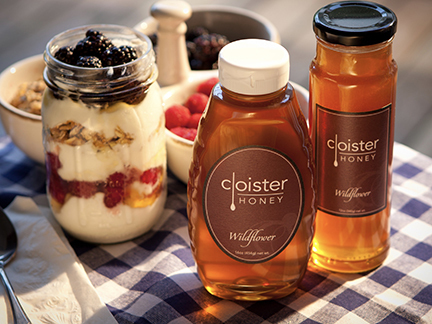 To order Cloister Honey or locate a store that sells it, visit their website at CloisterHoney.com. Note: Cloister Honey appropriated this Antioxidant Fruit Salad with Bee Pollen Recipe by Renee Blair on www.dailyburn.com.